Those who consider themselves a part of the civilized world should not only understand where we have gone wrong over the past 15 years in the fight against terror, but also create new forms of joint and coordinated action. 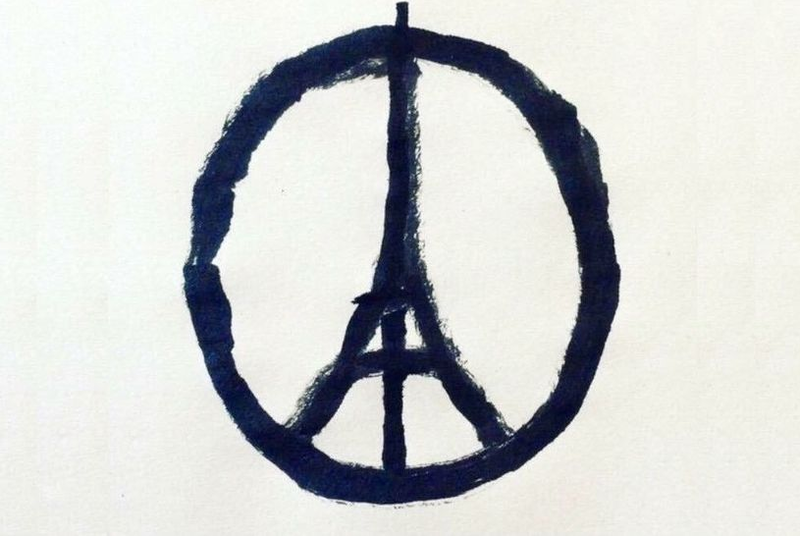 Friday, the 13th of November, 2015 has become France's ‘9/11’. This is exactly what ISIS terrorists have declared. International terrorists have demonstrated their ability to carry out a series of simultaneous terrorist attacks in several public places in a large city. Although France has strict gun control laws, the terrorists not only had explosives at their disposal, which is “usual” for such kinds of attacks, but Kalashnikov assault rifles as well. Fingers were recently pointed at the Egyptian security services for failing to stop a bomb from being planted aboard a Russian passenger aircraft in Sharm el-Sheikh. Today, those people have to acknowledge that a democratic country with well-equipped and well-trained security services may turn out to be helpless when faced with such a large-scale attack. In order to totally prevent something like this from happening again, society itself needs to be changed, along with the political system. Martial law should become a way of life. Although even this is unlikely to totally guarantee security! Terrorist attacks are not just the price that humanity pays for people being different. They are also the price we pay for the fact that the current international system of economic and political relations is sadly not conducive to rooting out terrorism either in individual countries – most often those that have fallen victim to "import of democracy" - or globally. Now when the whole world is feeling sympathy and solidarity with the French, we are yet again repeating the appeals to unite in the fight against the global threat of terrorism. How many times have these appeals been heard since September 11, 2001? Yet, where are the results? Al-Qaeda appeared to have been beaten when its leader was killed. However, the fact is that the group has grown newer and even more fanatical and barbaric cells. Stability in the Middle East has been undermined. We already see a whole terrorist quasi-state on the territory where, according to starry-eyed plans, the tyranny of dictators like Saddam Hussain and Bashar al-Assad should have been replaced by electoral democracy. Except that "the electorate" in these countries is increasingly voting more in favour of terror against Western civilization, while at the same time, thousands of volunteers leave Western countries to fight for ISIS. They fight for a new world order, one that is designed by barbarians and murderers. It is their idea of "justice" against the backdrop of their rejection of the injustice of modern capitalism and the true "liberty, equality and fraternity" that have never taken hold. It had been clear for a while that a large-scale terrorist attack in Europe was imminent. First, there was the crash of the Russian airliner in Sinai, which many gloatingly interpreted as "revenge for Putin's adventure in Syria." A few days ago, there were the double terrorist attacks in a Shia neighbourhood in Beirut, in which dozens of people were killed. There, clearly, terrorists from ISIS or similar groups were taking revenge on the Shia group Hezbollah for fighting on Al-Assad's side in Syria. The international community shuddered but, of course, the impact was not like that from these latest attacks in France. Indeed, those blasts occurred in "some place like Beirut," on the periphery of "the civilized world." And there was hardly any international reaction when a day before the Paris attacks there was an explosion in a Shia mosque in Yemen. Now it again turns out that we all are on the same "periphery," that we all live on the frontline in the war against terrorism. If the murderous fanatics who killed people in Paris were shouting, "this is for Syria!" (France recently joined the anti-terror coalition, conducting airstrikes against ISIS), it does not mean that, say, the United Kingdom, which has till now refrained from joining in the US-led air strikes, will not be the target of a similar attack. No doubt, the first reaction that Europeans, and the French in particular, will have to the attacks will be to close their borders and frantically tighten security. Many will recall the recent warnings voiced in connection with the influx of refugees from the Middle East flooding Europe that there were a suspiciously large number of young, strongly-built, single men among them. Analysts had warned that there were up to 25,000 Islamic militants among the nearly one million refugees that had arrived in Europe. This threat was also recently cited by the head of the Kremlin administration, Sergey Ivanov. President Putin, in his address to the UN General Assembly, referring to the instability in the Middle East creating hundreds of thousands of refugees, asked Western leaders: "Do you realize what you have done?" 9/11 has happened again. All those who consider themselves to be a part of the civilized world should not only understand where we have gone wrong over the past 15 years in the fight against terror, but also create new forms of joint and coordinated action. Russia and the West need to put all other disagreements aside. This includes Syria and even, however unacceptable some may think it, Ukraine, since it was largely the latter that has recently provoked the very same policy of double standards that has prompted many to forget that we all belong to a single Judeo-Christian civilization, which is now facing its most serious challenge in modern history. So far, however, one has to admit that the terrorists are acting in a far more consolidated and systematic manner than the whole of the so-called civilized world.